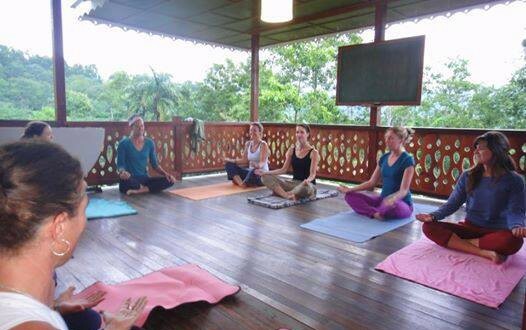 In Turrialba we practice Yoga with "Yoga en Turri" with teacher Bernadita. Located in Barrio Alto Cruz, it is an easy walk to the center of town. Her yoga can be described as restorative and is based on the method "lyengar". This is hatha yoga with emphasis on detail, precision and aligment, with some modifications and Vinyasa Flow. The schedule is Tuesday and Thursday from 7 until 8:15 pm. The bar & restaurant "Nazca" is right around the corner from the yoga station and you may wish to visit Nazca afterwards and do the "Yoga-Nazca" routine of Turrialba. 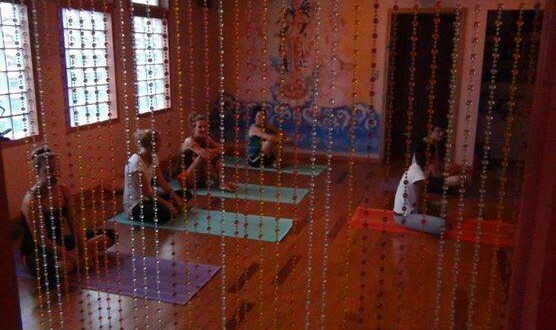 In Puerto Viejo we practice Yoga at "Om" located at the beginnin of Cocles Beach. The schedule changes per season. Make sure you check with us for the schedule. On Wednesdays the class is free or actually is done for a donation! In Bocas del Toro we practice Yoga with "Bocas Yoga" and teacher Laura Kay. The purple house, Laura's Center, is located at the extreme end of the street near Spanish by the Sea. She teaches "Hatha Yoga", appropriate for beginners and ongoing intermediate students. Each class is an artistic, celebratory, and empowering practice. The schedule changes per season but we have the updated schedule always at the school! In Boquete we practice with YiA Yoga in Plaza Los Establos. There are daily classes; beginner yoga, gentle flow, core power, restorative yoga, acro yoga and power flow. 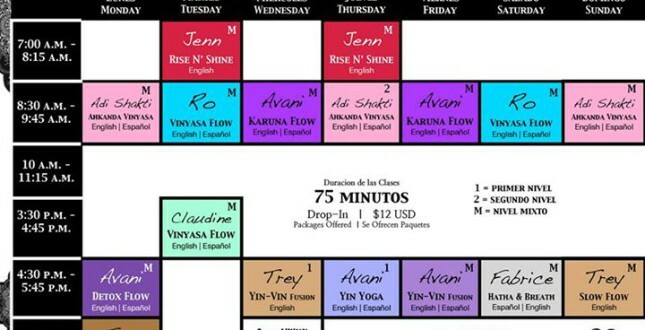 These are just a few of the options on the menu of this Yoga Center.